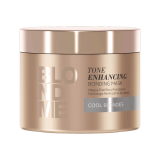 The perfect treat for iconic blondes. 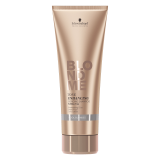 BLONDME colour care services are designed to maintain, protect and enhcance iconic blonde colour results and to help your clients discover BLONDME products. 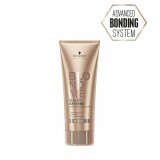 Show your blonde consultation with colour correction or enhancement tailored to your blonde client's needs. 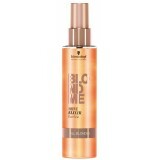 Luxurious leave-in serum for daily conditioning care and smoothing of all blonde hair types. 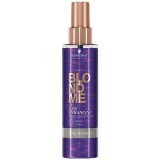 ..
Pigmented leave-in spray conditioner with cool cendré tone direction, for lightweight daily blond..
SPECIAL PRICE!! 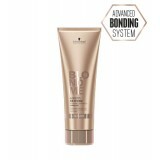 The warm tone cleansing shampoo cares blonde hair with warm carame..
Pigmented, sulfate-free shampoo with cool cendré tone direction to support and maintain the in-sa..
For ALL Blondes. 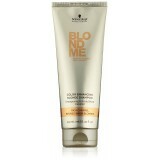 Rich cream conditioner to complete and maintain the in-salon blonde se.. 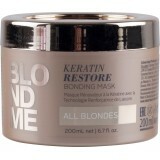 Deeply repairing treatment to complete and maintain the in-salon blonde service. ..